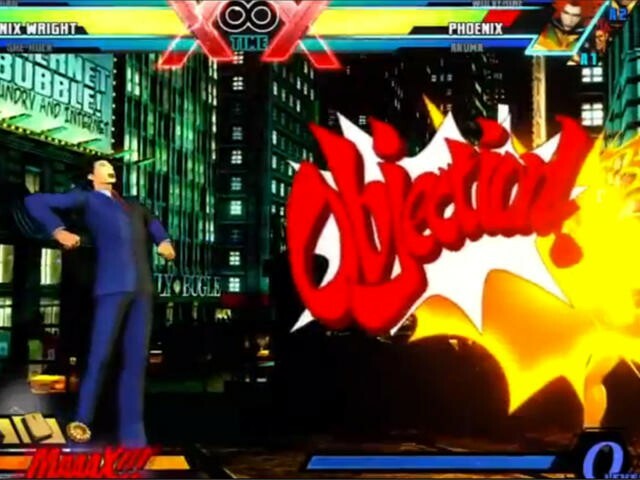 One of the new characters bound for Ultimate Marvel vs. Capcom 3 is Phoenix Wright. For those that don't know who Phoenix Wright is, he's the personality behind a line of investigation-based, crime-solving Nintendo DS titles (though there are games for other systems). If you've ever seen or experienced the franchise personally, then your first line of questioning concerning his addition to a fighting game should run something like, "how?" The video above, in the cheesiest way possible, demonstrates exactly what makes Phoenix Wright one of the toughest combatants to play and one of the best in the game all at once. If you'd like to skip the cheese, Wright's gameplay demonstration starts at around the 1:30 mark. Watch it … it's bizarre. Capcom also includes the same treatment for the upcoming Iron Fist addition later in the clip. Capcom will be releasing Ultimate Marvel vs. Capcom 3, the full retail refresh for Marvel vs. Capcom 3: Fate of Two Worlds, on November 15th in the States on the PlayStation 3, Xbox 360 and (once it releases) PS Vita. "After the release of Marvel vs. Capcom 3 there were plans to release DLC. But, as you know, less than a month after the game was released we had the earthquake and tsunami in Japan. That had an impact on everything, and it threw off our whole development schedule. We decided that instead of doing the DLC we could put it all together in one package, add some additional stuff to make it robust and deliver it as a disc." Ultimate Marvel vs. Capcom 3 will sell for $40 and includes 12 new characters. Buy Ultimate Marvel vs. Capcom 3 from Amazon.